Jillian Harris x Saje Wellness: The Wait is Finally Over! Stay in the loop on all things Jilly! Be the first to receive exclusive content, hear about upcoming collaborations, sales and much more! Today is SUCH an exciting day … it’s the OFFICIAL LAUNCH of the Jillian Harris x Saje Wellness aromaOm diffuser and Happy Place diffuser blend collection!! I honestly never thought I would see the day where a diffuser that I designed would be on the shelves at Saje! It’s so humbling and feels completely surreal!! This really has been a long time partnership with the Saje brand, starting with organically using their products on me and in my home, to becoming more conscious and aware of the products I’m using not only for myself but for my family as well, to now officially partnering up with Saje to launch an exclusive diffuser for my community!!! they are so different but it was also SO inspiring. We absolutely couldn’t WAIT to partner with Saje and help make wellness accessible to my community!! Believe it or not, I’m an outdoorsy girl, so when designing this diffuser, I wanted it to look like it was natural, I wanted it to have texture, a little bit of a pattern and personality. I really wanted it to look like a piece of art!! The Saje team did an incredible job bringing my vision through my Pinterest board, baskets, vases, and candles to life! Well, I’m BEYOND excited to finally share the aromaOm Jillian Harris Edition with you! This diffuser connects me with my love of nature along with my love for interior design … it’s the best of both worlds, in my opinion! The aromaOm diffuser is so easy to use. All you do is add water, add a few drops (5-10) of pure essential oil blend, and turn on! It diffuses for 3 hours non-stop or can diffuse for up to 6 hours on an intermittent mode, just press the diffuser button twice! Not only does the diffuser help your room smell amazing (like a spa!! ), but it also removes dust from your air AND cleanses the air!! So, in other words, you’re cleaning the air that you breathe (great for dust, allergies!!). I selected three of my favourite essential oil blends to include in my Happy Place collection. One of them is the Liquid Sunshine Diffuser Blend. This has been one of my favorites since I introduced Saje products into our home. It’s a citrus blend with Grapefruit, Bergamot, and Lime that not only cleanses the air but it also makes your air smell fresh! Also in the collection is Refresh which is another great morning daytime blend! Refresh is an energizing blend of refreshing lemon, invigorating eucalyptus, and sweet spearmint. Lastly, I’ve included Spa Spirit which actually makes your home smell like a SPA!! If you know me, you’ll know my love for taking some me time while away on work or vacation and hitting up a spa! This blend is really grounding and amazing to put on in the evening!! There you have it!! I’m so excited to finally be able to share all of this information with you and help you see that it can be SO easy to help center yourself, and feel better!! I hope you love the collaboration just as much as I do! Just remember, this is a limited edition diffuser and won’t be available for long … so snag yours before they’re gone!! Make sure to share your thoughts in the comments section below!! Thank you Saje Wellness for sponsoring this post. All comments and opinions are my own. I love this design. So beautiful and natural. I’m so excited to add this into my home and start diffusing. I’ve long struggled with anxiety and find that essential oils have been my saviour! Ordered the diffuser this morning! I love Saje products and couldn’t pass up Jillian Harris x Saje! Great partnership! I went into Sage Wellness for the first time while I was in Halifax. I was so excited and slightly overwhelmed by all the fun. I knew you had a diffuser coming out so I held off and waited for today. I am SOOOO happy I did. Your design is beyond beautiful and will go with my home so well. So excited for it to arrive and all the oils. I can see a slight addiction happening, haha. Hey Gals! Is this diffuser wireless? Jillian how did you put it on coffee table If not wireless ? We have a few plugins in our floor! Hands down the nicest looking diffuser I’ve seen…you guys nailed it! I ordered this diffuser right away. It’s beautiful and will fit my decor perfectly. So looking forward to cleaning the air I breathe and reaping all of the benefits of diffusing. Awesome job, Jillian! What is there to say apart from LOVELOVELOVE?! No way I was risking a sell out situation – order placed! Just ordered my diffuser this afternoon (with some oils) luvvv the design! Great collaboration, can’t wait to get it and start using it ??? I just picked one up in Victoria and I love it. Beautiful design. I was curious what the collaboration would be, as Sage struck a note but it has been off my radar for years… I vaguely recall seeing their stores years ago / at Capers (“whole foods on west 4th” now I believe). Jillian! You buried the lead…. the big news for me is that a portion of proceeds go to mamas for mamas. That it what would make me go out and buy it! Congrats on the collaboration and thanks for sharing your journey as you evolve your brand to one that has a real impact! Congratulations! This is absolutely beautiful. I wish you also made the Aromaom Deluxe like this! Jillian! Can you please please share where you bought the photo above your mantle!!?! That’s exactly like what I have been looking for my sad bare kitchen wall! Please and thank you ! I love Saje products, they’ve made such a difference in my home!! Can’t wait to get my new goodies !!! Picked mine up this morning along with the Happy place scent pak. Beautiful design and my home smells wonderful and zen! Great collaboration! Im picking mine up on thursday cant wait im so excited and the fact it cleans our air is awesome. Thankyou. Wow! I loved watching that video. Brought me to tears. Thank you Team Jilly for being a mentor and aspiration! The diffuser is beautiful & I can’t wait to try the essential oils. Congrats it’s beautiful! Where did you get your magnesium spray? I thought it came from saje. Please help point me into the right direction! Thank you so much! I’m so excited for my diffuser and loved the beautiful story that goes with it! Well done Team Jilly! Ordered your diffuser today & so excited to get it! Love the design & love Saje products. Congratulations on your collaboration with them!! Wonderful work you are doing with that charity Jillian!!! God bless you. Hello where is the painting above the fireplace from? Thanks! This is beautiful! I’ve never bothered with the essential oil craze, but this and the scents you have chosen sound wonderful! Are all three scents pet friendly? I’m assuming they must be with your Nacho being there, but just want to check before I try this out! Can you link the artwork in the first photo? So pretty! I’m a real newbie when it comes to oils and diffusing. Does the size of the diffuser and room matter? Just wondering how beneficial it is in a large open space. Hi- i just love that string of , what looks like, large clay balls on the tray on the coffee table… can you share where you found those?? thx…. just ordered the new diffuser today and oils… though your mix was sold out…:( next time…. anyway… as a potter from my college years, i appreciate the design of this diffuser so i finally took the plunge….! hope i love it in person….! I have the white aromaOm diffuser from Saje and love it. But even more, I love the fact that they partnered with you and together you are supporting local charities with your collab. So I will definitely be supporting your new product (which is gorgeous) and buying myself a 2nd diffuser! Awesome job Saje, Jill and Team J! I have to say I love Saje products and having been using them for a few years now. I’m excited to check out the new diffuser. What a great collaboration! Is it in stores now? Off to Kelowna this week from Kamloops and I will definitely check out Saje. Where is your beautiful white dress from please? Love you, love Saje, can’t wait to buy another diffuser and help a great cause! Thank you lovely!!! Funny coincidence. My husband asked me to get him some sandalwood essential oil. When I googled it Saje came up which I had just heard about on your IG Instastory. So I went and read your blog post and 20 minutes later I’ve ordered the GORGEOUS diffuser you designed! Hubby’s getting my old one? and the sandalwood oil. Good luck on your delivery! Just received mine, although it is sooo pretty, I’m just so disappointed it has to be plugged. I really thought it was rechargable. I guess I was fooled by your pictures that show no cord on a coffee table. Well, Ill be returning it 🙁 I’ll wait for a cordless one in the future.!!! Could you send a picture of your living room ru. Just got a glimpse, but it looks great. I have to leave a comment as this is the most beautiful diffuser I have ever seen!! I purchased 2 because I loved my first one so much! I love your designs and am so partial to whites and your home is my dream. I so hope you continue your relationship with Saje and design more beautiful accessories!! Where did you get your living room sofas made and family room sofas? Also American made sofas McNeily, Lee Industries, CR Laine, Mitchell Gold and Restoration hardware which one’s to you are the best quality made and warranty? Love your style!! I am so upset they are sold out ! I went to purchase one for a Christmas gift to find out they are gone . ? Is there anywhere I can get the Jillian Harris diffuser? My daughter lives in Kelowna, and she would like it as a Christmas gift from me. I managed to get the oils from Sage in WINNIPEG, but no diffuser. Is there ANY chance this diffuser will be back in stock at some point? It’s so beautiful and I’m so sad I missed it. I love the ceramic look it has. If there are any kicking around still, that would be a Christmas miracle. Hope to hear from you. I was just wondering if your limited additon diffuser wil be available again. I love it! Is there any way to get this diffusers and happy place kit anymore? I received the Happy place as a gift and LOVE it and wanted to gift it to my sister for her bday, May, 2nd. But it’s not on the site so then I searched you and that’s when I came across your collaboration with Saje and seen the PRETTIEST diffuser ever and thought how much my sister would love that as well, she loves you too!! I phone Saje in Grande Prairie to see if they had any, which they don’t buuuut she mentioned you maybe were doing another collaboration with Saje! Which is super exciting!! I’m wondering when that’s happening!? And is it possible to buy the happy place kit and that diffuser anywhere at this point? Or are we waiting for the new collab? « Pampering Myself 101: Working with that Pregnancy Glow! 13 Things You Might Not Know About This Canadian Girl! JH x Smash + Tess Collection is Now Here! How to Master Your Easter Tablescape in 5 Easy Steps! Team Jilly Takes on Dallas! I Finally Made the Switch to Natural Deodorant: Here’s What I Learned! Eyebrow Microblading: To Do or Not to Do? The New Look of Jillian Harris Revealed! Get inspiration for fashion, food, fitness, decor, life, gossip and even shop all my favourite items! 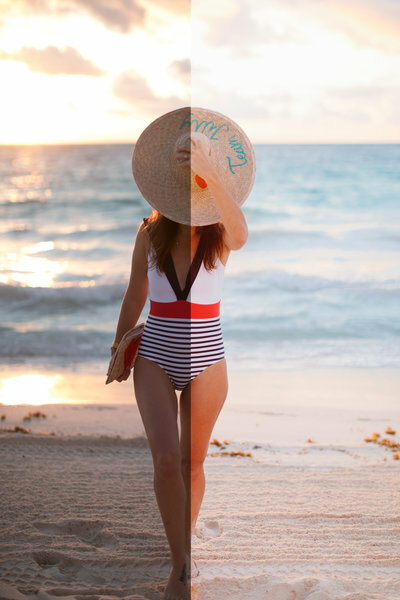 Finally, the quick and easy editing tools you need for bright, beautiful, pastel photos!